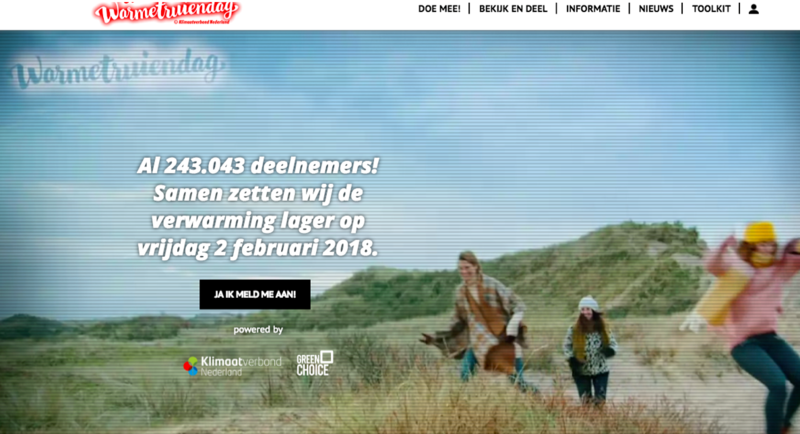 With 240.000 people who join the WarmSweaterDay annually, it is the most notable climate campaign in the Netherlands (the “Warmetruiendag” in Dutch). Over the past 12 years, this climate action day grew into a well-known phenomenon in the Netherlands. Schools, companies, the Dutch railway, municipalities, universities, museums are making a climate statement on that day at www.warmetruiendag.nl. 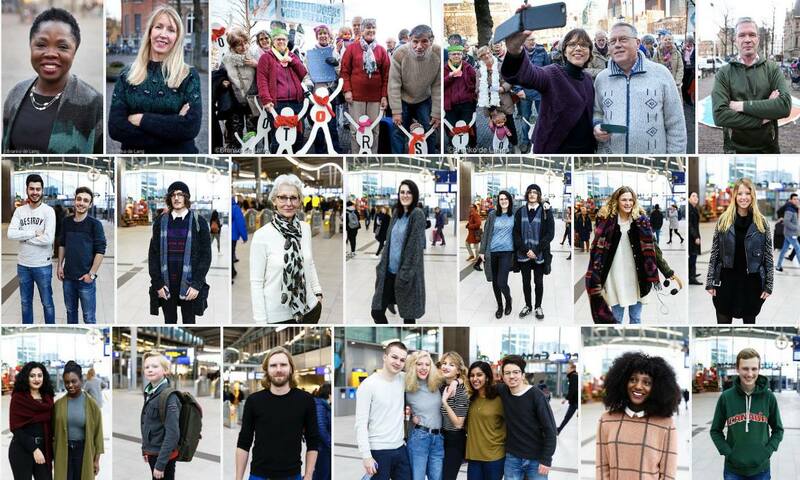 At Twitter #warmetruiendag is trending topic, Dutch celebrities join this action, it’s on national TV, newspapers write about it, and almost every year the weather reporters mention the campaign at the 8 o’clock countrywide news. We are starting a pilot including one hundred WarmSweaterDay participants with a smart gas meter to store their avoided gas usage on the EnergyCoin blockchain. Participants set a target how much they want to save on gas in one month and when they achieve that goal, they are rewarded in an amount of warm sweater day tokens corresponding to how much gas they did not use. The avoided gas usage is converted into saved emissions of greenhouse gases. In the conversion a warm sweater token is created and information is stored on the Blockchain. The WarmSweaterDay pilot, together with the cycling pilot with Ring-Ring, is an initiation of the EnergyCoin ecosystem. We are looking for a name for the WarmSweaterDay token. Should they called Pullis, Sweaterbits: let us know your ideas! Let us now at Twitter (@EnergyCoinFdn or @EnergyCoin) or Instagram (@Energycoinfoundation) and please use #name #warmetruiendag #token. The Warmetruiendag (the WarmSweaterDay) is organized by the Dutch Climate Alliance, Klimaatverbond an association of 180 Dutch local governments. Since 2007 this campaign celebrates the birthday of the Kyoto climate protocol annually. The Warmetruiendag reminds people that the greenest energy is the energy you don’t use. Together we can save 70% energy worldwide, with all the knowledge and techniques that are already available. The massive potential of saving energy as part of the solution of the climate problem is in the spotlights every edition. And we need to show each other what we do to reduce the emission of greenhouse gasses to tackle the prisoner’s dilemma. The biggest threat to a living planet is feeling helpless. The campaign encourages people to turn down the temperature by one degree and instead to keep warm by wearing an extra warm sweater. The result of this seemingly simple act is an energy savings of six percent per degree. The warm sweater is a symbol for all the actions people can easily (and comfortably) do to save energy. The WarmSweaterDay campaign challenges individuals, schools, government organisations, companies and universities to turn down their heat and to communicate what they do the rest of the year to save energy. The Intergovernmental Panel on Climate Change (IPCC) stated a few weeks ago that we have around 12 years to decarbonize our society and avoid a dangerous climate breakdown. Rising public interest in climate change and biodiversity could rapidly push policy and markets towards transformative change when amplified. Our goal is to raise funds to reward people who are joining measurable climate actions, avoiding emissions of greenhouse gasses and restore nature. Also, this makes their (individual) actions more visible.